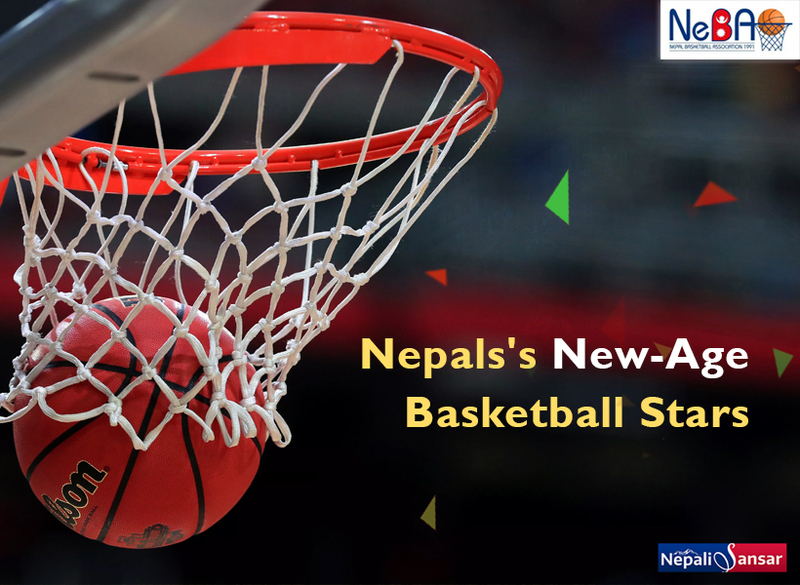 Nepal has some dedicated governing bodies for basketball that are responsible for the popularity and fandom of the game. Basketball is one of the most cherished sports across the world and to witness the frenzy for the sport worldwide is almost overwhelming. Nepal, the nation that is more than just ‘pro-sport’ finds immense pleasure in playing Basketball and more so, has an undying love for the sport! December 1891: Dr. James Naismith was trying hard to keep his gym class, normally-running on a rainy day. But after considering and dismissing a number of games as either rough or not good enough for the indoor, he suddenly conceived an idea and listed down a few basic rules in a book. He then hammered a peach basket onto a wall, 10-ft high. And that was when Basketball was born! Although, the sport got its name only in 1892, when one of the players from the first game suggested it to Naismith. The only pain-point of this story was having to retrieve the ball manually after a point was scored. Seeing how this effected the progress of the game, the basket’s base was removed, and a dowel was used to retrieve the ball. Basketball was initially played with a soccer ball that had a set of laces to close the hole used to inflate it. However, this design interfered with the course of the game. Later, a brown ball without laces was introduced and endorsed by Naismith. In 1950, Tony Hinkle introduced the orange color ball we use today. This was done to create more visibility among spectators and players, alike. The game has seen quite a few modifications since its inception. NeBA is the main governing body for basketball in Nepal. 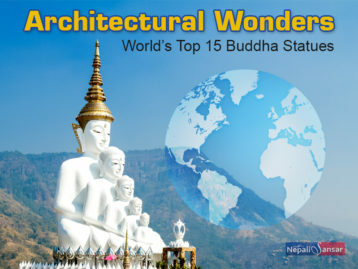 It’s efforts and initiatives made Nepal see many new horizons on the game front. It works with the aim to promote sportsmanship and peace through the game while following and honoring the Olympic movement. 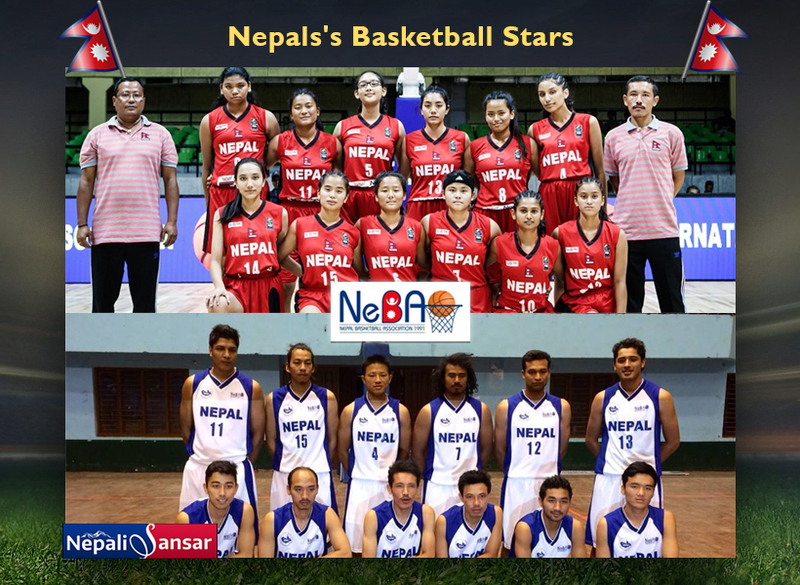 Established in 1989 or 2046 (as per the Bikram Sambat), NeBA is registered with the Nepal National Sports Council (NSC) and is affiliated with the Nepal Olympic Committee (NOC), the Asian Basketball Federation (FIBA, Asia) and the International Basketball Federation (FIBA). Currently, it’s focused and committed to promoting the game at the root level so that Nepal achieves success in its future games. Many countries are beginning to see the potential of differently-abled people in the field of sports, and Nepal is no exception! 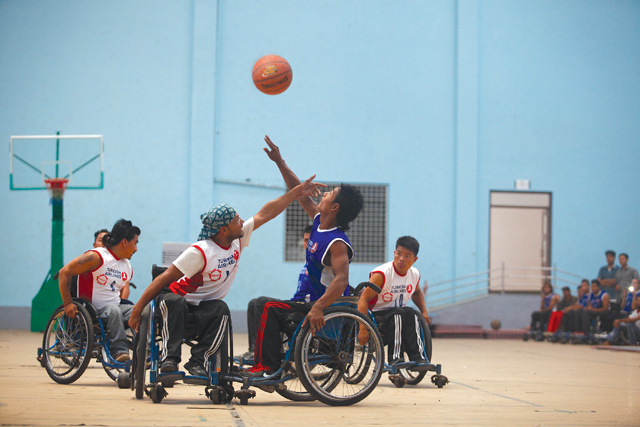 NeWBA is the driving force behind the promotion of basketball for the differently-abled people in Nepal. It was established on October 3, 2010 with the objective of promoting the game and support, uplift and motivate such people in the country. In its recent initiative, earlier this month (June 2018), NeWBA in association with the Turkish Airlines organized a tournament for men and women. The men’s teams that participated in the event included SIRC, WSA, BIA, NSCISA, JWSC, TAC, Chitwan, Pokhara and Nepalgunj, while it was WSA, BIA, NSCISA, JWSC and WWBA in the women’s category. The final matches were held at the National Sports Council covered hall at Dasharath stadium. Bringing Sport to the People! NeBA’s promise of promoting basketball at the root level is seen being fulfilled with basketball bodies catering to promote the game at the district level. The District Basketball Associations (DBAs) promote basketball at the district level and are responsible for producing the most refined players for the national team. The competition has to be tough if it has to produce the best of the best! Nepal holds many competitions and championships to promote the sport and build some talented sportsmen. Championships include National (Senior) 3X3 Basketball Championship, National U19 3X3 Basketball Championship, National U19 Basketball Championship, U 14 Festival and National Mini Basketball Festival. The Nepal National Basketball Team was successful in bringing home a good number of bronze medals in the South Asia Basketball Association (SABA) Championship during 2013-2016. Earlier in 2012, the team also qualified to play in the Summer Olympics. In 2017, Nepal won the International Wheelchair Basketball Tournament held in Kathmandu wherein, the home team beat India and Bangladesh to bag the winning trophy and a cash prize of Rs 50,000. In the Nepal Wheelchair Women’s Basketball Tournament, Nepal beat Bangladesh in a two-team round. What a proud moment indeed! The Himalayan country has huge potential in the field of basketball. Its dedication and love for the game is evident in the number of events conducted at the national, state and district levels and the programs developed by associations that are responsible for fostering the game among the country’s populace. We wish the country good luck for all its upcoming basketball and other sport events.